We can handle many important plumbing jobs around the home, including providing help during a plumbing emergency. 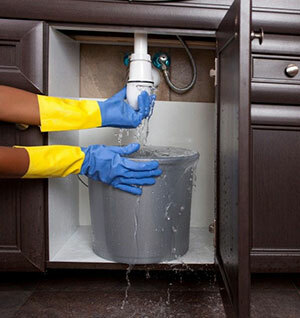 Our services include everything from unclogging drains and repairing leaks to installing fixtures for a kitchen remodel. Conservation minded, we can help you choose the most energy-efficient equipment available for your home, including water heaters, air conditioners and heating systems. We also specialize in low-flow fixtures and heat recovery systems. Halco is dedicated to providing top-notch customer service. We staff our office 7 days a week until 9 pm, have emergency plumbing service 24/7, and offer a variety of maintenance and service plans. Our plumbing technicians are fully trained, licensed, and N.A.T.E & NCI certified. Contact us today for a free plumbing repair estimate in Rochester, Ithaca, Webster, Fairport, Auburn, Cortland, Canandaigua, Pittsford, and more! It’s often not necessary to replace old equipment. We will let you know whether there’s still life in your boiler or water heater. When it’s time for replacement, we offer the most efficient, innovative, and highest-quality plumbing equipment available. We work only with top national suppliers, ensuring your home high-quality plumbing solutions that are designed to last. In addition to our plumbing capabilities, we offer a full array of electrical service and CAD design expertise. We can even install and service solar hot water heating systems and geothermal heating systems! Halco handles the entire job, giving you more options that better suit your individual needs. Allow us to help you make your home more comfortable, affordable, and sustainable. With our extensive knowledge and significant experience as a leading plumbing contractor designing and building these systems in New York, we can provide you with plumbing installation services that are right for your needs and budget, whether you are installing plumbing in a new home or upgrading your faucets or other plumbing features. If you are looking to fix a leaky pipe or other plumbing problems, we offer expert plumbing repairs in NY. As a leading energy performance improvement contractor, we our focus is on helping you maintain a more energy-efficient, comfortable home for less. Halco is NY's leading HVAC contractor: We offer services for water heaters, air conditioning, heating and more! We provide Free Estimates and whole-home energy assessments in The Finger Lakes and nearby, including Penfield, Geneva, Brockport, Hilton, Spencerport, Rochester, Ithaca, Webster, and the surrounding areas. All of our residential assessments are no cost. Commercial assessments would start at $350 and would need to be custom priced based on the size of the facility. In addition to being one of the most trusted plumbing companies in the area, we also provide other energy saving services, like hot water heater repair and replacement, tankless water heater installation, renewable energy solutions, home insulation upgrades, window and door replacement, electrical services and more. Contact us to learn more about how we can help improve your home's energy performance today! Excellent service. Night call was handled very well by Hans & next morning service call by Pete F seemed to have corrected the problem. Very courteous. Very happy with the work and the workers.